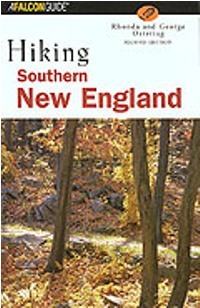 Hiking Southern New England, by Rhonda & George Ostertag, 2nd edition, 2002. This Falcon guide includes 75 hikes - 43 in MA, 24 in CT and 8 in RI. Includes mountain, forest, flatland, beach and sanctuary hikes. Excellent introduction to the region. 328 pp, 6” x 9”.